Not A Model: Not A Model Weekly Mantra - What Now? Not A Model Weekly Mantra - What Now? Books seem to be the best companions when travelling solo. I've only been in Florence for a week, and I've already finished reading three books. Keep in mind this time frame includes my 8.5 hour plane ride and a two hour day trip this past weekend. I am not some freak speed reader. 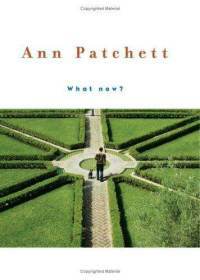 The latest book I finished reading was, What Now by Ann Patchett. It is a published essay on the commencement speech that Patchett gave at Sarah Lawrence College. The essay includes Patchett's experiences attending her alma mater, working as a waitress and trying to become an author. It is an essay that provides insight into the question that always seems to pop up when people find themselves at a crossroads. That question is, "What Now?" Seeing as I will be returning to Canada in less than a month, the question "What Now" or "What Next" seems to linger in the air. While I should not be worrying about the future, it is inevitable when spending time solo to begin to analyze one's life path. This essay was a great reminder of the possibilities that lie ahead, not the stress. "If you are trying to find out what's coming next, turn off everything you own that has an OFF switch and listen. Make up some plans and change them. Identify your heart's truest desire and don't change that for anything. Be proud of yourself for the work you've done. Be grateful to all the people who helped you do it. [..] You are, every one of you, someone's favourite unfolding story." I love how this quote ends.